There comes a time in each of our individual lives that we just learn to love log files. We learn to love utilities like tail and grep as we pore over countless lines of information, seeking out the stuff that really matters. We like to show off our debugging prowess as innocent bystanders look on in absolute wonderment. I've been using multitail for a couple of weeks now (it took me a while to warm up to it after my supervisor introduce it), and I'm quite satisfied with it. One thing I really, really like about multitail is that I can kinda sorta almost monitor multiple remote files. What does that mean, you ask? Well, my development environment includes at least 5 virtual machines, each of which will be logging different but equally important information. I want to be able to "tail" a specific log file on each of the virtual machines in one window. Now, it took me a while to learn how to do this, which is why I'm sharing the information with you. And here comes my usual disclaimer: this may not be the most efficient way to do what I want to do, but it's currently working for me. I'm open to other solutions too! Such a command would ssh into two computers, host1 and host2, and run tail -f /path/to/log/file on each. Multitail allows you to monitor the output of both tail commands in a single window, reducing clutter on your desktop. You can also arrange the files/commands you're "tailing" into various rows and columns. I tend to have a 2x2 grid of log files when I use multitail at work. 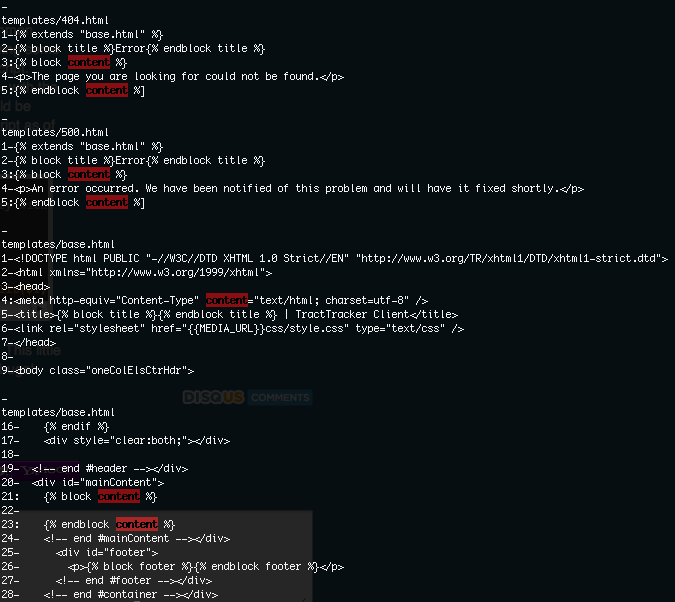 I've also started using multitail to monitor the access and error logs for my Django sites on WebFaction. I simply ssh into my account, run an alias for a ridiculous multitail command, and watch as both log files scroll on by. Again, this is just another aspect of my work environment that is fun and useful to me, and I wanted to spread the joy. Multitail may or may not be a utility you like to use, but it suits my current needs and desires quite well. YMMV. And, once again, I'm always on the look-out for other tools to make my work life more interesting and productive!